AECC Global is an education consultancy founded in 2008 with an aim to minimize the challenges international students face in Australia. Ever since then, we are making waves internationally. AussieYouToo is an online support group for young people who want to study in Australia. They Encourage young people around the world to travel to Australia and continue to study in prestigious institutions in order to improve their academic and professional future. Austra Migration and Education Consultants provide advice in education and immigration for students and people interested in travelling into Australia. They offer professional consultancy, recruiting and counseling services to international students for all aspects in the Australian education. Australia Online, part of SIS Consulting, provides objective and professional information to potential and current international students and focuses on both on-shore and off-shore international students. We are committed to connect international students to the leading educational institutions worldwide. Our business is driven by the idea that we can support people benefit from the best academic achievements and life experiences by assisting them from the course selection to their settlement in the country of their choice. Australian Study Solutions is an International Education Agency based in Melbourne, Australia. Established in June 2011, we have since then successfully recruited hundreds of Italian, Spanish and European students across many schools and courses. We are a completely independent and free of charge service to students. The Director Sergio Fucile has built the business to 5 staff including a dedicated marketing and admin team and a loyal collaboration with an Immigration Lawyer. Australian Way is an agency specialized in giving support for adventurous students who want to study abroad. They have been helping students for 7 years and have offices in Spain, Australia and Chile, as well as collaborators in all cities. Blue Studies International is an innovative education agency that has successfully guided students in achieving their personal and professional goals within their study abroad experience since 2006. During this time, they have positively impacted over 5,200 students’ lives. EDUIN is an education agency providing the best available education advices and support student’s welfare and settlement. EduTravel Group has been assisting international students since 2011. EduTravel Group is a dedicated company that strives to provide an excellent consultancy with very high standards in ensuring a variety of education choices for students. It consistently strives to maintain a professional and efficient service in all aspects of its business. The company prides itself in its ability to provide resources, products and services in all aspects of international trade. This includes education, wholesale and retail trade and the development of possible partnerships and business ventures overseas. Grasshopper International is one of the most important education providers in Colombia. With the goal to be the best solution in overseas study counselling in Colombia, the company was founded in 2000. GI is a Colombian and Australian registered international student placement services organization that specializes in South America. Hello Study is an educational agency group which was established after almost 10 years of Hello Australia experience. We provide educational consultancy through student recruitment, marketing and administrative assistance. IAE Edu Net Melbourne is an International Education Recruitment and Management company. IAE Edu Net Melbourne was founded in July 2001 in Melbourne, Australia and now has 23 numbers of counselling and administrative staff. Their staff are highly trained, and specialize in counselling and placing students in IAE preferred partner educational institutions in Australia. Information Planet is an education agency created 20 years ago and located all over the world. International Study Solutions, trading as Australian Board, is the largest and longest running Italian education agency in Australia and Italy. This agency is specialized in providing support and services for foreign students willing to start or complete their studies overseas. Just Australia is an education agency based in Melbourne and works all around Australia. In the past 3 years it became very popular among the Italian community, they gave information to around 10,000 people and assisted almost 1500 student visas. They are particularly famous because they give information for free to whoever comes to their office or contacted them by email. KOKOS is a leading provider of international education consulting, migration services and travel services since 1997. 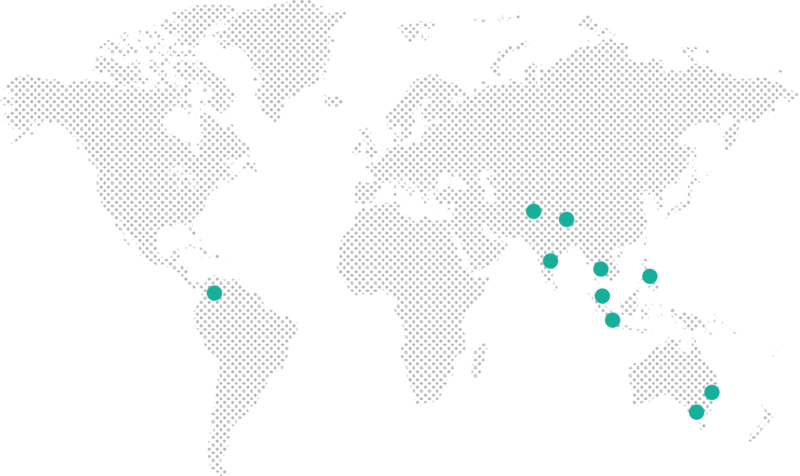 We have over one hundred employees throughout our offices in Australia, Korea, U.S.A, New Zealand, Canada and England who specialize in student education and migration services. KOKOS has served over 100,000 clients, offering precise and professional information that has resulted 2,500 people moving overseas for various purposes each year. LAE is a world leading career counselling agent with over 18 years of experience in International Education, and one of the largest networks with 45 offices in 15 countries. LAE assists international students from any nationality, looking to study in Australia, New Zealand or in any of our study destinations. LAE was born with the goal of helping you reach your educational goals abroad in the safest and most affordable way, by offering quality and transparency during the process, as well as thousands of study options in the best destinations, at high quality institutions. Let’s Go Study Australia is a relatively new Australian Education Agency established by co-directors Vasilis Mitroulas & Costas Pehlivanis to promote Australia as a study destination. The agency was established in February 2012 with the main aim to promote Australia as a study destination primarily to the Greek market. LMB education is an education agency with more than 8 years in the market providing advice and support to international students and promoting the best educational institutions among their clients. Mais Australia has existed for 5 years and since then has been dedicated to providing transformative experiences to those who want to get to know Australia. Mais Australia take care of the whole process that involves adaptation in a new country. That is, students will not need to break their head to find out which is the best educational institution, where they will settle in and not get lost in the first days of their stay. Assistance to students for visa applications, language studies and tertiary education. Nextperience is an education consultancy agency specializing in education programs overseas, that also provides personalized services and advice to international students who desire to improve their academic and personal development. Open Conexus is a Student Agency which offers free advice to people from Europe and Latin America, who want to study, work and migrate to Australia. Spiible.com is a complete one-stop platform for international students to search and compare courses and institutions across Australia. They achieve this by assisting all their students through the whole educational life-cycle, from searching for courses, enrolling, and applying for visas, to providing information about flights, housing and job opportunities. Study Destination is a European education agency based in Melbourne, specializes in helping the student organizing their adventure in Australia, from the start to the end. Australia offers students different study possibilities, Study Up Australia helps them choose the course that best suits their interests and budget; they take care of the whole process accompanying them from the place of destination and throughout the experience in Australia. Over the years and through enrolment for Education Agent Training Course, they have developed our skills and give professional services to international students (offshore and onshore) to make sure they are studying right fields for their future career. VETA is a company with more than 10 years of experience in advising students and professionals who want to live, study or work in Australia. They recruit students from Latin America and Europe both onshore and offshore. The vision agency with a difference. They want to make the student interactions simpler and more meaningful. They want to be at the forefront of the industry in terms of knowledge and technology. They want to be eco-friendly and minimise paper use. WEST 1 is a study abroad agent specialized in promoting Australia as a destination for students from all over the world. It is committed to providing its customers with a unique experience of living and studying in Australia, thus enabling them to develop new skills and contributing to their personal and professional growth. Will World Australia offers services for students and people interested in travelling abroad with professional purposes. They offer educational and migration consultancy, recruitment and counselling services to international students, for all aspects of Australian education. In addition, they also provide assistance with accommodation, visa applications, travel arrangements, pre-departure information, budgeting, finding employment and all the support their clients need to establish themselves in Australia. WeWork La 93, Calle 93 # 19 – 55, Bogotá D.C.
Avenida Carrera 45 No. 108 - 27 Torre 2 - Oficina 907B Centro Empresarial Paralelo 108 Bogotá, Colombia. Cra 16A No. 79-05 Oficina 504 Edificio Office Class Bogota, Colombia. IBAGUE Carrera 5a # 41-16 Building F25. Office1310.